Tire-derived fuel (TDF) is composed of shredded scrap tires. Tires may be mixed with coal or other fuels, such as wood or chemical wastes, to be burned in concrete kilns, power plants, or paper mills. An EPA test program concluded that, with the exception of zinc emissions, potential emissions from TDF are not expected to be very much different from other conventional fossil fuels, as long as combustion occurs in a well-designed, well-operated and well-maintained combustion device. 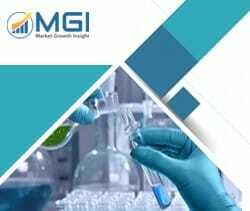 This report studies the global Tire derived Fuel market status and forecast, categorizes the global Tire derived Fuel market size (value & volume) by manufacturers, type, application, and region. This report focuses on the top manufacturers in North America, Europe, Japan, China, and other regions (India, Southeast Asia). Focuses on the key Tire derived Fuel manufacturers, to study the capacity, production, value, market share and development plans in future. Regional and country-level analysis of the Tire derived Fuel market, by end-use.